Great service and really good breakfast. 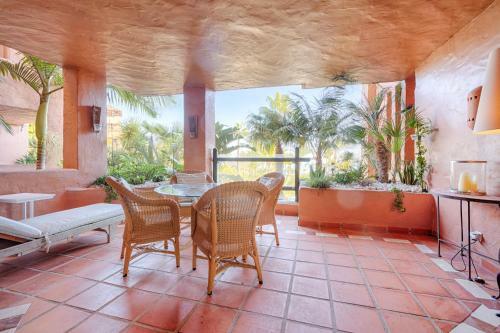 Good location, next to Puro Beach club and Laguna Village with very great restaurants. 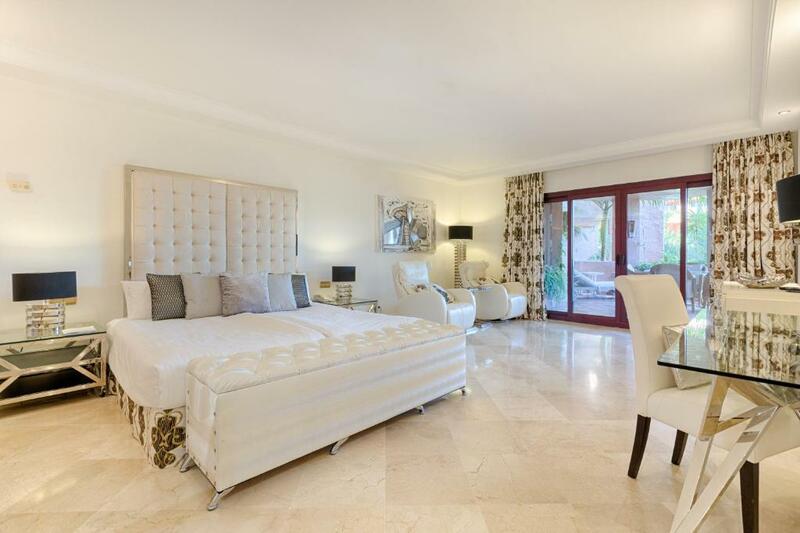 15 min from Marbella and 5 min from centre of Estepona. Our room was really big, clean and well equipment. View was awesome! I can warmly recommend this property. The Bahia Beach apartments are part of the private wing of the Kempinsky hotel. We had all the facilities of the hotel and its beautiful garden and pool area. Very helpful and friendly staff. The studio apartment was large and stylish. Part of the Kempinski Hotel and all it’s facilities. Also benefitted from towel changes, bins emptied and toilet rolls being provided. Wonderful hotel with the most beautiful gardens, immaculately kept. Very quiet and relaxing which we just loved, but may not suit everyone. Staff extremely friendly and professional in every area. Hotel amazing. Cannot wait for our return. Wunderschönen Garten mit toller Poolanlage. Frühstück auf der Sonnenterasse mit Blick in den tropischen Park sehr schön. Veldig fint hotell med et hyggelig personale som yter bra service. Очень замечательный персонал персонал. Приедем еще раз. Хозяину( лучше бы знать его имя) огромное спасибо. Приглашаем его в Москву. 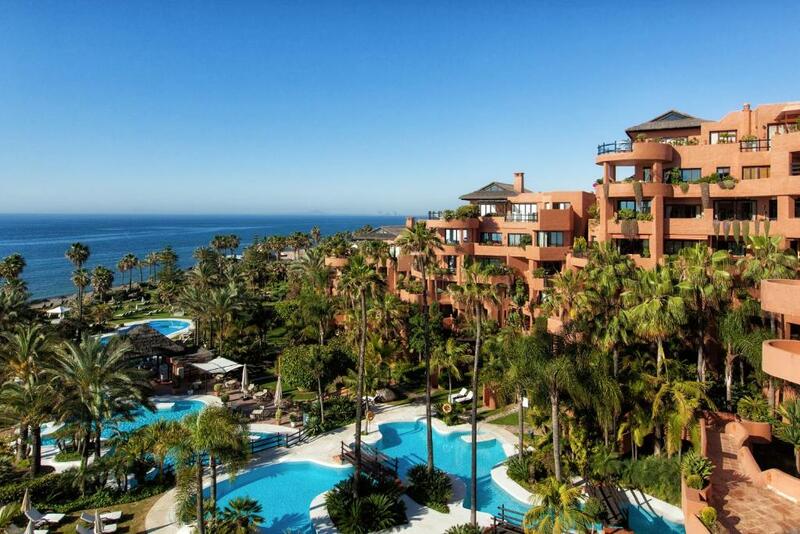 Lock in a great price for Bahía Beach Apartments Estepona – rated 9 by recent guests! One of our best sellers in Estepona! Featuring 3 outdoor swimming pools and tropical gardens, Bahía Beach Apartments Estepona is located 2.5 mi from the center of Estepona. Set in El Padron Beach, this beachfront complex offers a spa and wellness center, restaurants and bars. Each air-conditioned apartment has 1 or 2 bedrooms and a bathroom with a bath, shower and free toiletries. The seating area includes a sofa and TV while kitchens are fully equipped with a dishwasher, oven, and fridge. All studios have a double bed, sofa, TV, and some have a kitchenette. The private bathroom comes with a bath or shower, hairdryer, and free toiletries. Both apartments and studios have a private terrace with outdoor furniture, and some offer views of the Mediterranean Sea or Gibraltar. Guests have free access to the on-site wellness center and spa, which includes an indoor pool, sauna, gym and steam room. There is also a tennis court. When would you like to stay at Bahía Beach Apartments Estepona? This spacious studio has a double bed, sofa, TV and some have a kitchenette. The private bathroom comes with a bath or shower and free toiletries. It also features a private terrace with outdoor furniture and views of the pool. 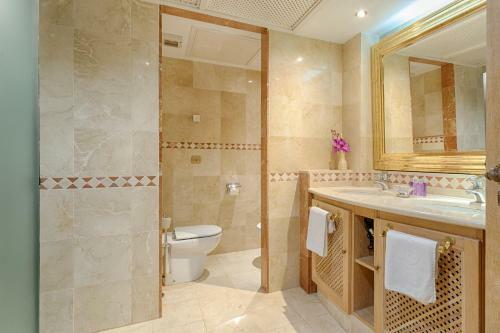 These apartments have one bedroom with private bathroom which comes with a bath, shower and free toiletries. 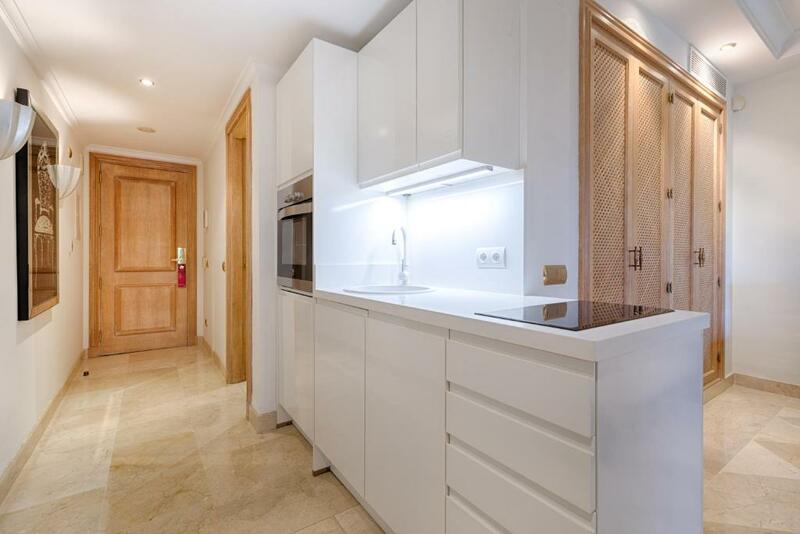 It also features a living room, a fully equipped kitchen and a private terrace with outdoor furniture with sea views. These apartments have 2 bedroom with private bathroom which comes with a bath, shower and free toiletries. It also features a living room, a fully equipped kitchen and a private terrace with outdoor furniture. These apartments have 2 bedrooms with private bathroom which comes with a bath, shower and free toiletries. 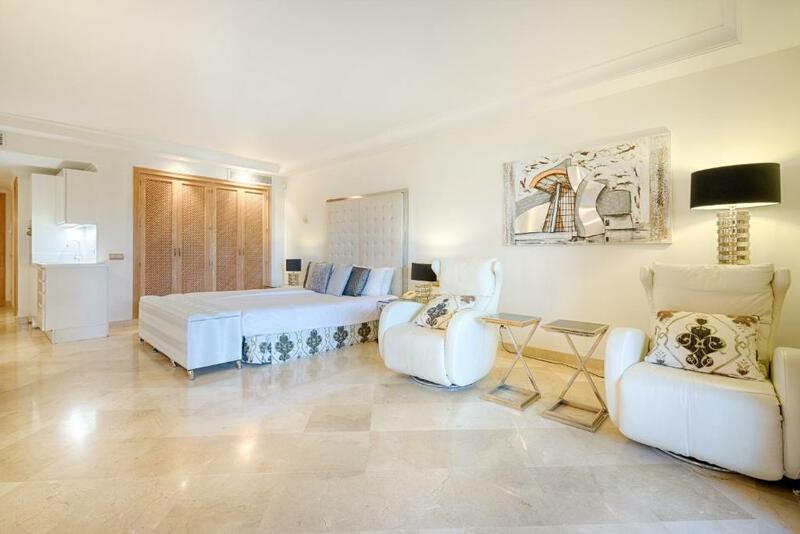 It also features a living room, a fully equipped kitchen and a private terrace with outdoor furniture with sea views. This studio features air conditioning, tile/marble floor and kitchenware. 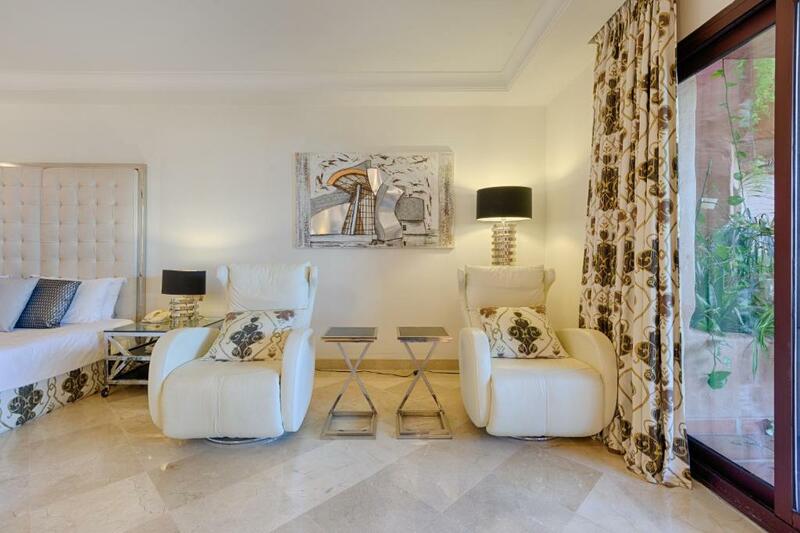 House Rules Bahía Beach Apartments Estepona takes special requests – add in the next step! Bahía Beach Apartments Estepona accepts these cards and reserves the right to temporarily hold an amount prior to arrival. Please note that apartments are cleaned every 3 days. The property offers covered parking for EUR 16,50 per day. Uncovered parking is also available for EUR 5 per day. 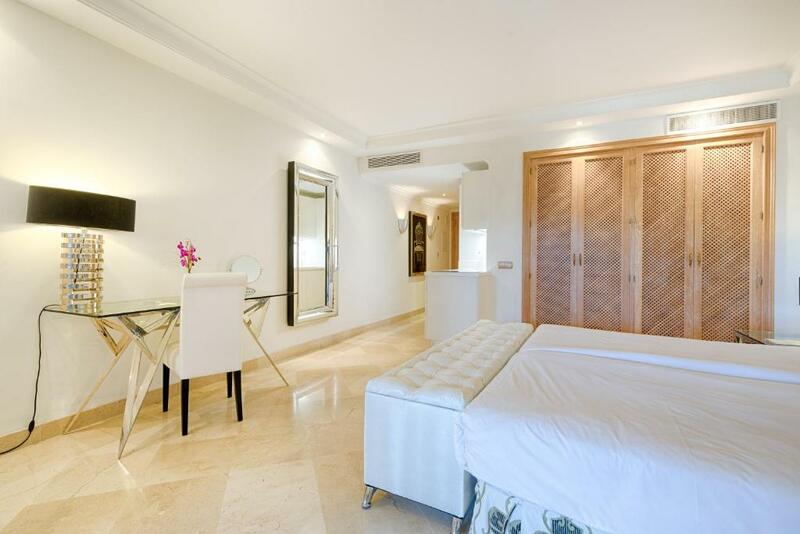 Please inform Bahía Beach Apartments Estepona of your expected arrival time in advance. You can use the Special Requests box when booking, or contact the property directly using the contact details in your confirmation. Considering the apartment being a high quality, poor pillows and the kitchen was not particularly equipped well ie, no toaster, no wine glasses or corkscrew! The hotel is in a desert away from all entertainment within walking distance . But the service was always excellent. Thank you for a good experience. We stayed in a studio in the private wing. The room was very big and comfortable, however lacked character and luxury. Although we realise these are privately owned and probably each one maintained differently, we felt our room left down the overall ambience of the place, and would be best if it was upgraded. Saying that we would have no hesitation in returning. It is a couple of miles out of Estepona so if you do not have a car it is a good walk or taxis. Good breakfast in fabulous surroundings.